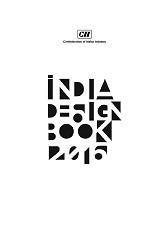 To document and present the state of design in India, CII had initiated the Design Year Book in the year 2014. The 2016 edition of this book reconfirms the critical role that design plays in envisioning new products, services and communications. A key message of the 2016 Yearbook is that there is an increasing need to access benchmark information about contemporary design so that it could influence others to action. The design solutions presented in this Yearbook are a rich source of practical examples of strategies and business processes employed by organizations in India. It covers the key domains of design including Industrial Design, Visual Communication, Mobility Design and Interaction Design. It covers a wide gamut of design solutions from packaging graphics to identity design and UI/UX of industrial products to large sized industrial products. The sheer variety of coverage is unique and represents a rich tapestry of the practice of design in India. This edition of the Design Yearbook primarily features almost 70% designs and innovation by Small and Medium Enterprises. This was launched at the National Summit on MSME held on 3rd of February at The International Engineering and Technology Fair (IETF) 2017 in New Delhi.